Zadní nárazník over rider set. Tato reprodukce vintage nárazníku, má čepel z nerezové oceli. Všechny ostatní komponenty a držáky jsou pokovené. 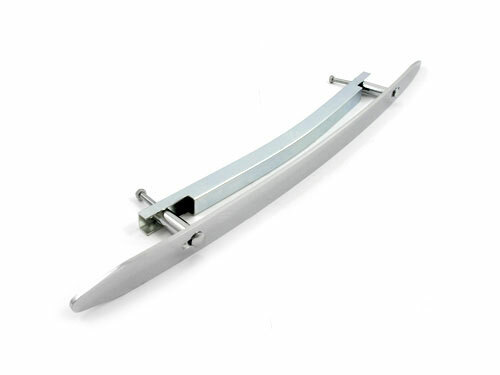 These reproductions of the vintage bumper over riders feature a stainless steel blade. All other componets and support are plated. The bumper over rider bolts to the front or rear of your existing bumper with included hardware. They can be used with blade or factory over-rider front bumpers.